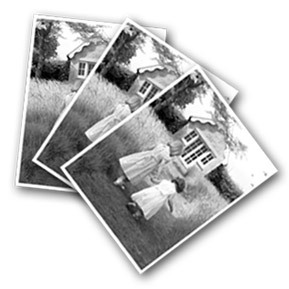 We can make copies of almost any photographs even without the negative as long as there are no copyright problems. Please see our copy prices below. Prices are for straight copies with no re-touching or cropping done. Please remember that very old photographs have a finite life and this copying procedure gives these photos a hundred years more life. It also produces a digital negative from which you can make inexpensive re-prints at any stage. All of our photos are produced in our printing lab and are printed on archival quality, lusture, photo paper, designed to last over 100 years.